Turkey, a longstanding member of NATO, has long been involved in the funding of the Islamic State, and supports not only ISIL but also other jihadi groups including Ahrar al-Sham and Jabhat al-Nusra, al-Qaeda's affiliate in Syria, British investigative journalist Nafeez Ahmed reveals. Referring to fresh evidence and citing various sources, British investigative journalist Dr. Nafeez Ahmed has revealed that Turkey is up to its eyeballs in clandestine collaboration with Syrian Islamist groups including the notorious Islamic State; to make matters worse, the major Western powers are not going to do anything about it. In the wake of the infamous attack on Paris, French President Hollande has declared war on ISIL and announced a plan to strengthen the powers of his country's police and security services, according to Ahmed. "The murder of 129 people, the injury of 352 more, by the 'Islamic State' (ISIL) acolytes striking multiple targets simultaneously in the heart of Europe, mark a major sea-change in the terror threat," the British investigative journalist notes in his recent article for Insurge Intelligence. "Conspicuously missing from President Hollande's decisive declaration of war, however, was any mention of the biggest elephant in the room: state-sponsorship," Ahmed emphasizes. According to the investigative journalist, Turkey has long been playing a prominent role in supporting terrorists in Syria. The journalist draws attention to the fact that Syrian passports discovered at the scene of the crime "were fake and likely forged in Turkey," according to a police source. ​Ahmed adds that the Turkish media has already reported that more than 100,000 fake Turkish passports have purportedly been given to ISIL militants. Moreover, a number of Uyghur nationals were captured with fake Turkish passports in Thailand and Malaysia. Quoting the award winning journalist Stuart Ramsay, Ahmed highlights that the Turkish authorities were "certifying passports" of would-be ISIL fighters at Turkey-Syrian border posts. This can only mean that Turkish officials were fully aware of the flow of militants pouring into Syria. Furthermore, there is evidence that some Turkish officials have certain links to high-ranking ISIL members, he notes, citing an unnamed Western official familiar to intelligence sources on the matter. "The same official confirmed that Turkey, a longstanding member of NATO, is not just supporting ISIS [ISIL], but also other jihadist groups, including Ahrar al-Sham and Jabhat al-Nusra, al-Qaeda's affiliate in Syria. 'The distinctions they draw [with other opposition groups] are thin indeed,' said the official. 'There is no doubt at all that they militarily cooperate with both'," the British journalist states. The remarks made by the unnamed officials were also confirmed by a leak of authenticated official documents of the Turkish military in January 2015. The documents clearly indicated that Turkey's intelligence agents were involved in transferring missiles, mortars and anti-aircraft ammunition "to the al-Qaeda terror organization" in Syria. 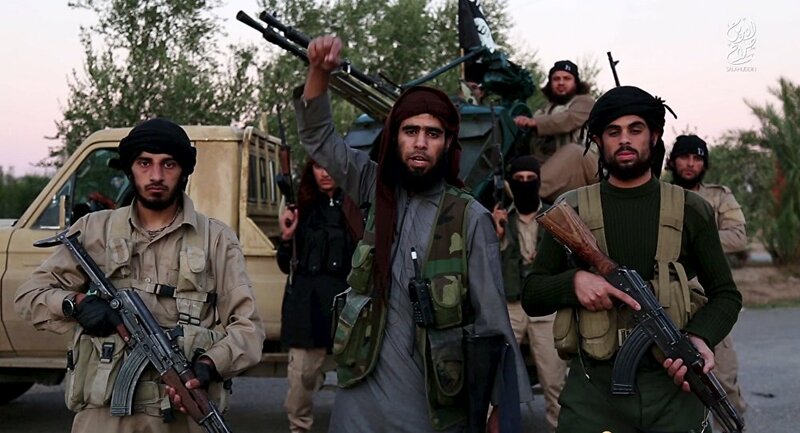 According to some ISIL suspects, the Turkish national military intelligence organization (MIT) started providing Syrian Islamists with weapons as early as in 2011. On the other hand, the Turkish Statistics Institute reported that Ankara had provided at least one million dollars in arms to Syrian rebels between 2013 and 2014. Needless to say, the revelation directly contradicts Ankara's own "official policy of denial." "Weapons included grenades, heavy artillery, anti-aircraft guns, firearms, ammunition, hunting rifles and other weapons - but the Institute declined to identify the specific groups receiving the shipments," Ahmed emphasizes. At the same time, it was Turkey that played a key role in facilitating ISIL's oil trade. "Turkey has facilitated over $1 billion worth of black market ISIS [ISIL] oil sales to date," the British journalist stresses. 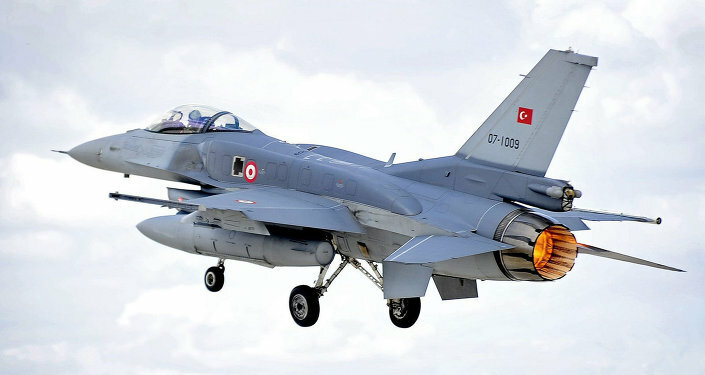 Unsurprisingly, Ankara's so-called anti-ISIL airstrikes were mostly aimed not against ISIL's infrastructure, but against the Kurdish militants of the Democratic Union Party (YPG) and Kurdistan Workers Party (PKK). Although these forces are viewed by the international community, including both Russia and the US, as a vital part of the US-led anti-ISIL coalition, Ankara has long considered Turkey's PKK a thorn in its side, and its Syrian sister organization YPG as problematic. Western media sources and independent reporters have repeatedly nailed Turkey for its purported double-game in the region. Strangely enough, the Western powers ignore much of the evidence presented. "Instead, Turkey has been amply rewarded for its alliance with the very same terror-state that wrought the Paris massacre on November 13, 2015. Just a month earlier, German Chancellor Angela Merkel offered to fast-track Turkey's bid to join the EU, permitting visa-free travel to Europe for Turks," Ahmed underscores. According to the journalist, the irony of the situation is that ISIL is being funded and harbored by the very same America's allies who joined the US-led anti-ISIL coalition — Turkey, Saudi Arabia, Qatar, the UAE, and Kuwait. "ISIS [ISIL], in other words, is state-sponsored — indeed, sponsored by purportedly Western-friendly regimes in the Muslim world, who are integral to the anti-ISIS coalition," Ahmed elaborates. It would be naive to believe that Washington policymakers are not aware of the facts on the ground. However, they are not interested in cracking down on these Muslim regimes. NATO is teetering on the brink of a serious crisis. 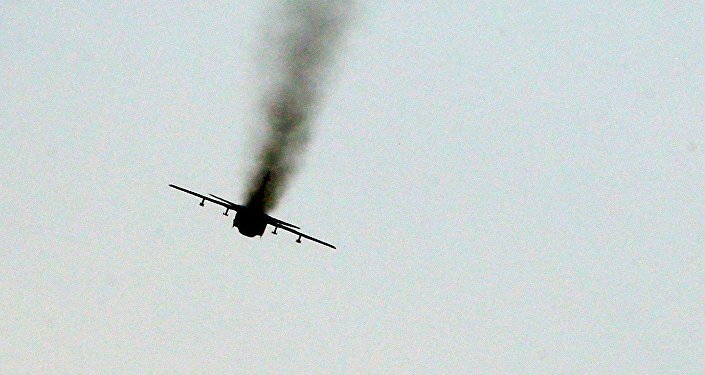 Russia is not going to simply take Turkey's downing of its plane laying down. ​The explanation is obvious: everything revolves around Middle Eastern oil and natural gas. Washington and its NATO allies are interested in maintaining total control over the region's natural resources. In this light, Turkey is seen by its Western allies as an important energy hub, while Bashar al-Assad is regarded as a stumbling block in the way of a new Qatari gas pipeline to Europe. Control over the region's gas and oil resources is the West's top priority and nobody is bothered about the fact that Turkey is collaborating with the barbaric ISIL regime in Syria and Iraq, the British journalist explains. "We must not question the motives of our elected leaders, who despite sitting on this information for years, still lie to us, flagrantly, even now, before the blood of 129 French citizens has even dried, pretending that they intend to 'destroy' a band of psychopathic murdering scum, armed and funded from within the heart of NATO," Ahmed concludes. Mysterious Middleman: Who is Buying ISIL's Crude and Dropping Oil Prices?